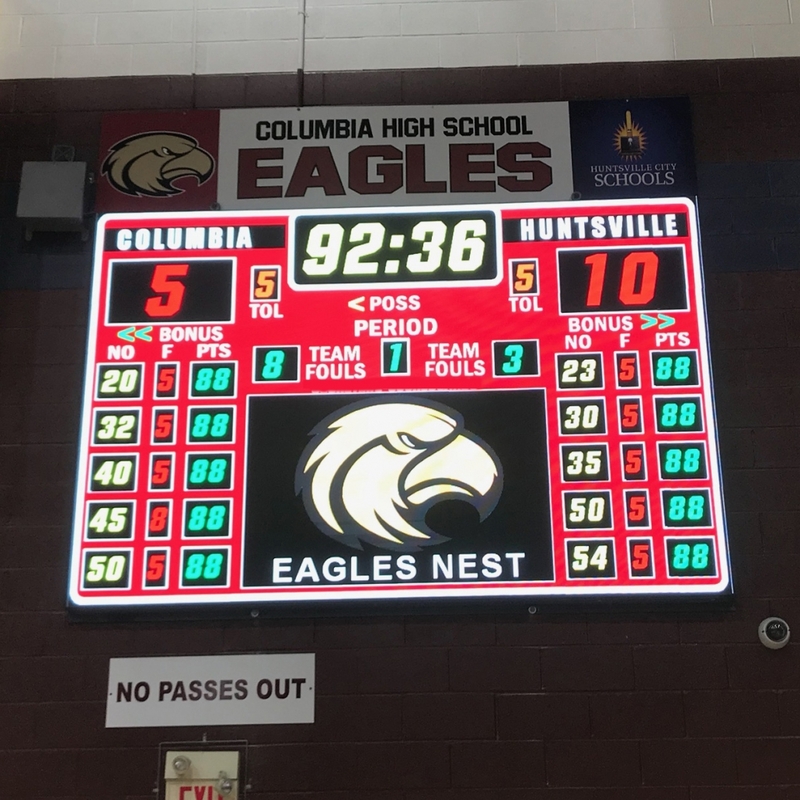 Our LED Basketball Scoreboards are comprised of 20″ x 20″ panels that can be combined to make any size. Each panel has 128×128 pixels. 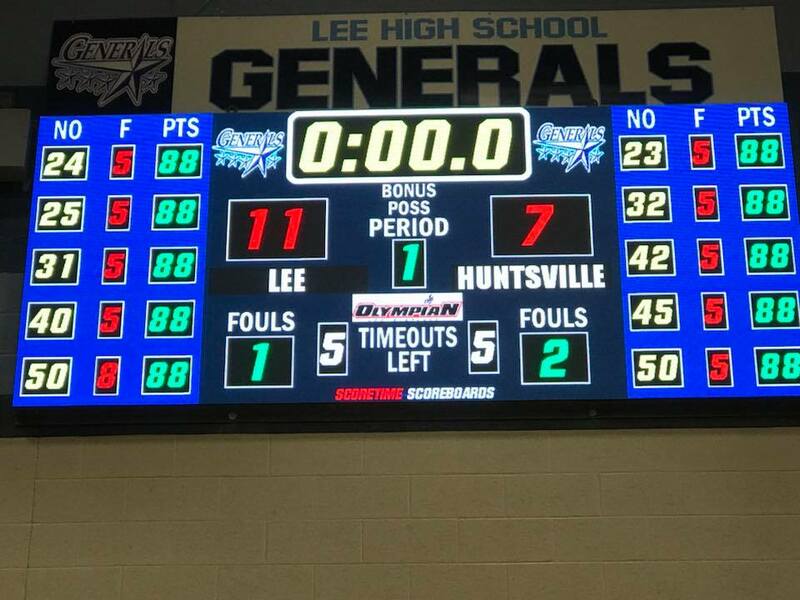 Our basketball scoreboard is perfect for high school basketball and college basketball. Our led video display can be used for other purposes such as advertising events. In Huntsville Highschool we did a layout of 3×8 panels which has 384×1024 pixels and is a physical size of 4′ 9″ high by 13′ 1″. We also have Portable Basketball Scoreboards.